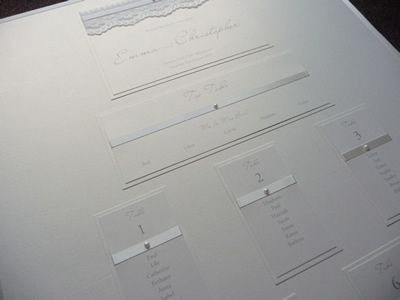 I love table plans because they give me an opportunity to draw inspiration from your entire stationery collection and create a stunning impact on your wedding day. 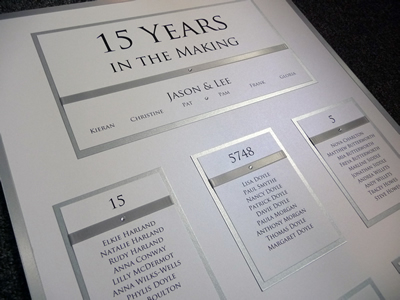 As well as looking great, each table plan is created with your colour scheme and wedding theme in mind, they also serve an important purpose in guiding your guests to their table places – so it is important that as well looking great, they also offer clarity. 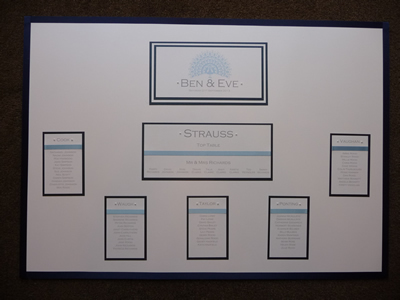 My seating plans are created and mounted onto foam-board as standard. 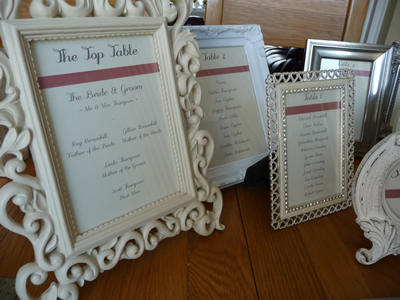 A1 sized boards are most popular but A2 boards are also used for smaller weddings. If you let me know how many guests you are having to your wedding breakfast then I can advise you on the best option for you. I never try and squish too many tables onto a small board because I always consider the amount of people who need to read it. There’s nothing worse than 50+ people huddled around a small A3 board squinting to find their names and so for this reason, A2 boards are probably the smallest you should go for. 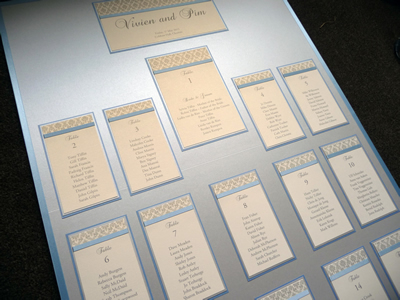 Each table plan features a Header with your names and wedding details on, then there’s a card for the Top Table with with each Guest Table below that. I will ask you for your guest list and table plan information and I will place the guest tables onto your board in the positions you ask me to. Again, it is also worth bearing in mind that the fonts you use should really be clean and easy to read. Whilst script might look pretty amazing, if people are struggling to read it the queues will soon build at the board. If you are unsure which fonts to use, I recently wrote about font styles which might give you some ideas. Deciding on the layout of your Top Table is something I am often asked to help with. Every family is different and marriages, divorces and other “family politics” can affect who will sit next to who. Below is an example of the most traditional seating arrangement but if you need any assistance or advice with your personal top table then please feel free to get in touch. 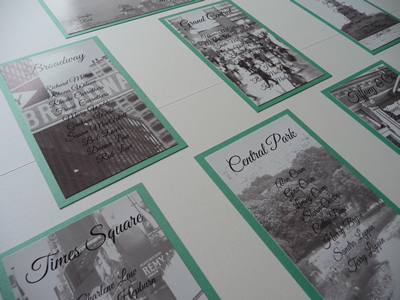 On many occasions I’ve been asked to incorporate themes onto table plans. Here are a couple of ideas I’ve been asked to create in the past but if you have a different theme in mind then please let me know and I can go through the options with you. 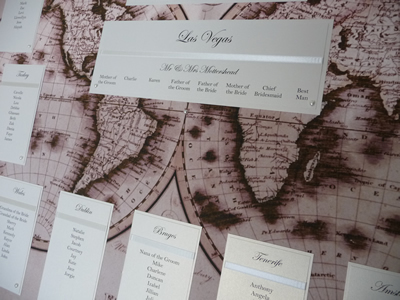 Instead of the more traditional foam-board base I have worked on lots of Table Plan projects including designs on Mirrors, in Frames and pegged to string in vintage suitcases. 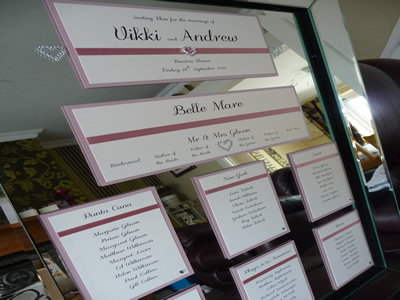 I am happy to provide the cards for your table plan but I don’t supply the mirrors or suitcases etc. There are plenty of high street shops and charity shops that sell great products. If you need advice on recommended sizes then please get in touc. 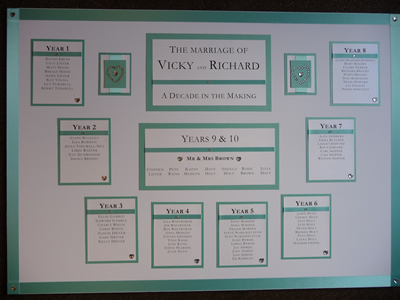 Within my website I have also provided in my downloadable resources section a Table Plan planner to help you start your plan and get some idea of numbers and layout. This is critical in making sure you can get a nice blend of guests on each table. 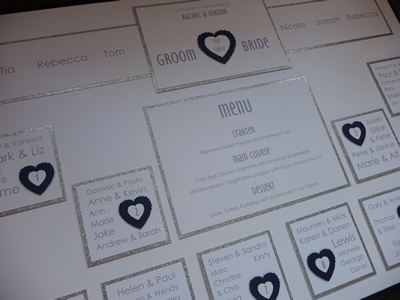 In terms of style, you will obviously have your theme in mind, but if you are completely stuck and not seen anything so far that you think suits, then there are plenty more images and table plan ideas in my Table Plans. 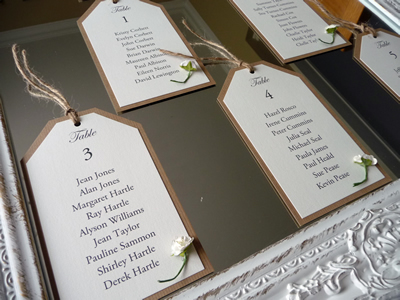 It’s also important to make it easy for your guests to find their table once they are in the room, and while a lot of people simply number their tables, naming your guest tables instead is a great way of not only making it easier for your guests, but it also adds a lovely personal touch to your day. 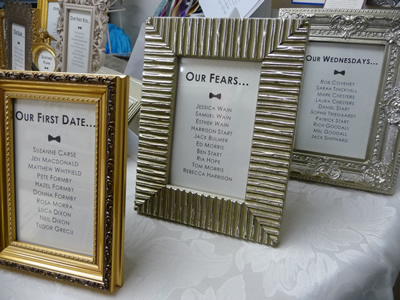 I recently wrote a blog post full of table name ideas that I’ve come across over the years which you might be able to draw extra inspiration from. Hopefully you have found this blog post useful, though of course, if you have any questions then feel free to holler! Or feel free to leave your comments below.